You'll be £19.99 closer to your next £10.00 credit when you purchase British Aircraft of the Second World War. What's this? 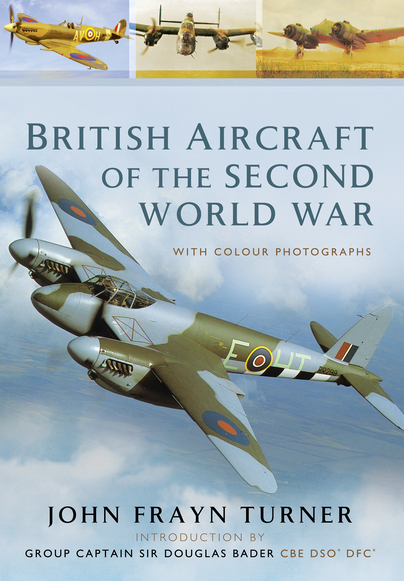 This unique book, now republished, was the first of its kind to be published on British aircraft of the Second World War. Aviation enthusiasts and aero-modellers can see British aircraft as they really were, through magnificently reproduced colour photographs. Each of the forty-nine types of aircraft is accompanied by a brief 'biography' together with tables of the most important marks and their specifications, engine, span, length, height, weight, crew number, maximum speed, service ceiling, normal range and armament. There is also a section on British aircraft in action, which includes accounts of outstanding exploits by the pilots of different types. John Frayn Turner, the well-known aviation author, has chosen the pictures and provided the text. An interesting book and a useful guide for documentation work. Read the full review here. Please note this review is written in Spanish and can be translated.